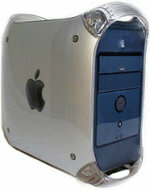 The Power Mac G4 was the successor to the Power Mac G3 (Blue &amp; White) and used a similar case but with the G4 processor. There is a Power Mac G4 in the computer store. 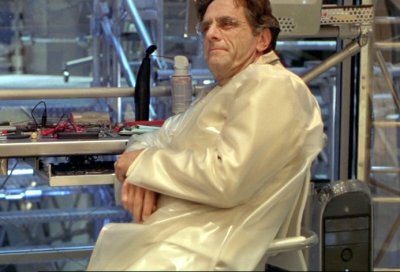 One of the bank's employees with whom Kevin eventually teams up owns a Power Mac G4 that she uses to extract the file on Kevin's girlfriend from a disk. Under the table, on the left. 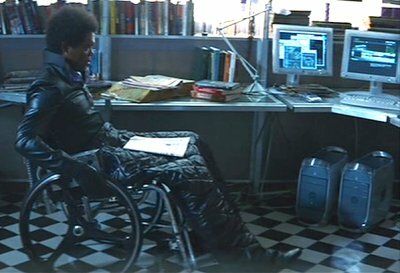 Elijah has a collection of Power Macs in his office. 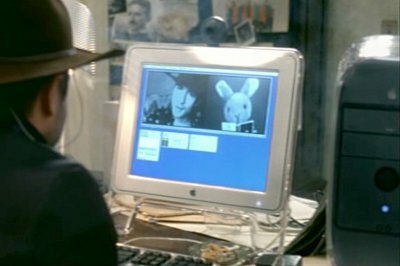 Detective Kuroda's son, Toru, also finds a strange web site that appears to be related to the suicides using his Power Macintosh G4. Joe has a Power Mac in his office. 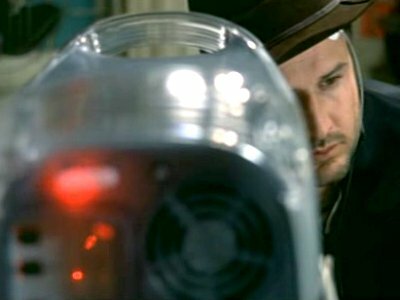 Eddie Mars, the man Muriel talk to over the internet, uses a Power Mac G4. 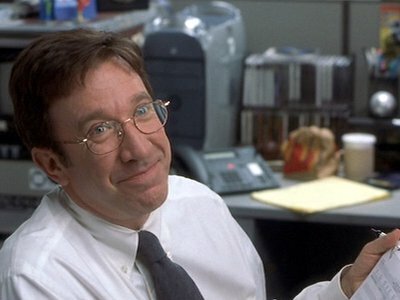 Eddie uses software on his Power Mac to make his face look exactly like his brother Tom's. 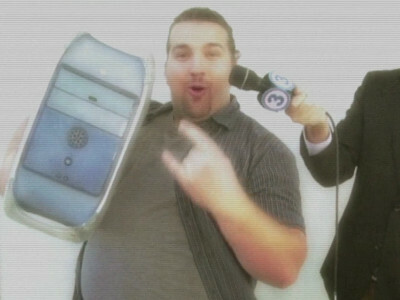 A PowerMac G4 makes a brief appearance in a recording studio.